President's Blog - Let Me Hear (From) You! Considering how easy it is to communicate with others these days, you would not think that communication between wealthy investors and their financial advisors would be such a problem. But much of Spectrem’s research with investors deals with their satisfaction level related to the communication they have with their advisors. While satisfaction levels are usually relatively high, investors are not without complaint about the timing of contact or the frequency. The bottom line is that investors who like to stay abreast of market conditions and want to take advantage of investment opportunities as they arise prefer regular and frequent communication. But even more than that, investors want to hear from their advisor when market conditions are tenuous, and that just does not always happen. The proof is in the pudding, as they say, and there was a lot of pudding in December of 2018. From Dec. 3 to Dec. 26, the Dow Jones Industrial Average lost more than 4,000 points from high to low. Terms like “mini-crash” and “recession” were bandied about. Investors were watching the ticker on their TV monitors or computers with newfound attention and concern. But a survey of more than 500 wealthy investors found that not all of them received communication from their advisor during that time, and many of those that did received nothing more than a “how you doin’” kind of conversation. Sixty-four percent of those investors contacted said they heard from their advisor to discuss the impact of the stock market downturn on their portfolios. That means 36 percent did not hear from their advisor during that time. Perhaps there are investors who have given advisors instruction not to contact them. There are investors who do not want more than an annual checkup call from their financial professional, and Spectrem research shows that some want less than that in terms of regular communication. 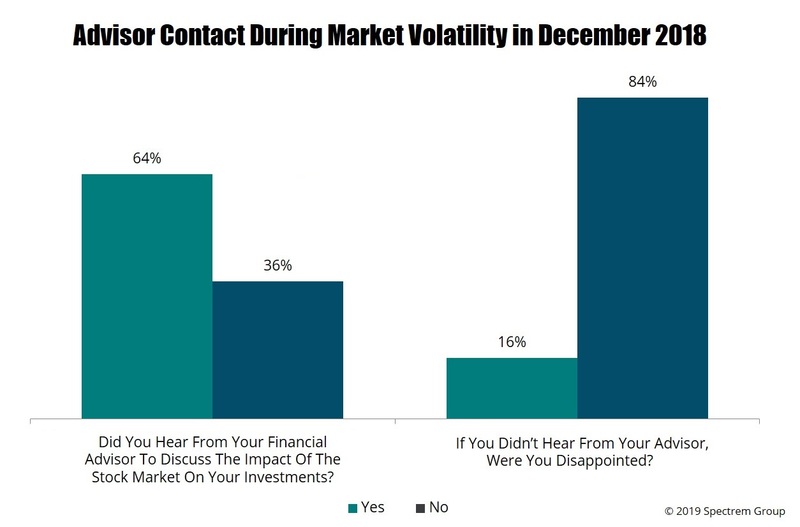 Of the 36 percent of investors who did not get contacted during the December slide, only 16 percent said they were disappointed not to hear from their advisor. Interestingly, more than half those investors who did hear from their advisor said the tone of the conversation was more general than specific. Only 47 percent said their advisor had pointed suggestions about what the investor should do to combat the loss of value in the stock market, while 53 percent said the conversation was just to let the investor know that the advisor was monitoring the situation and to invite questions form the investors. Again, there may not be a “right way’’ or “wrong way’’ to address such a situation. Every investor is different about their desire to react to large market fluctuations. It is probably the communication that matters more than the way the conversation went. Investors are allowed to ask questions and direct conversations as they see fit. A couple of other interesting points from the survey (results of which can be found in Spectrem’s Wealthy Investor Series) include details on how advisors contacted their client (62 percent of contact was by phone) and the type of advice advisors offered (69 percent of clients were told to “calm down”). 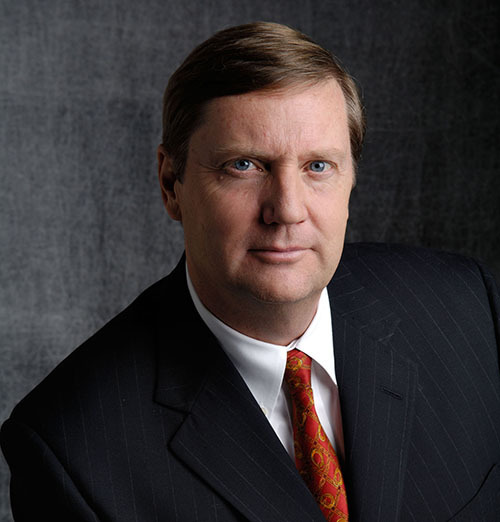 There is no such thing as a “standard” approach to client communication. Every investor has different demands of their primary advisor regarding when to call and how to communicate. But situations like the December stock market downturn illustrate the importance of knowing how and how often investors wish to be contacted.